When you are in debt, you can get a lot of help from debt relief programs. You have debt consolidation loan, snowball method, debt management, debt settlement, and bankruptcy. There is no shortage of solutions that you can use. In fact, your dilemma is actually finding the right debt relief option that you will use to get yourself out of your credit situation. There is another tool that you can use to help you choose the right debt solution. 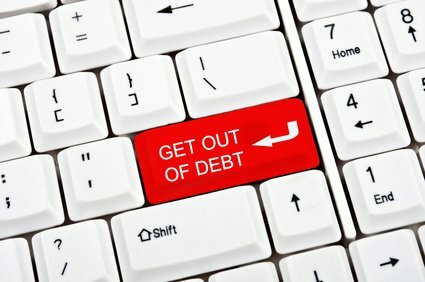 This will prove to be useful not just in helping you decide on your debt relief program, but it can also help you get and stay out of debt. Finding debt relief assistance is not difficult but it is not a process that you do not want to rush into. One of the tools that you can really utilize if your budget plan. When you are in a financial crisis, that only means your finances are not organized. You make reckless spending choices because you have no idea how much money is coming in. Sometimes, people will get a better view of their debt problem when they start to organize their money. This is where budgeting will really help. Not only will a budget plan help you organize you money, it also allows you to make a smart choice with your debt relief options. This is because budgeting will help you identify your disposable income. This is the money left of your income after you have removed your basic expenses. Anything left can be put into your savings or your debt payments. In choosing a debt solution, you want to consider the following scenarios. If you have more than enough money to pay off your debts comfortably, you can select the snowball method. This is simply restructuring your payment plan so you pay your priority accounts. Ideally, you want to experience an early success to it is best to prioritize the debts with the lowest balance. The idea is to pay the minimum for all your debts while putting more money into your priority debt. As you notice, there is no lowering of payments or debt reduction here. That means your disposable income must be able to afford the usual debt payments plus a little extra to make this solution work. If you just have enough money to pay your debts and basic needs (or you only have a slight deficit), then you can opt for debt consolidation. This is the payment method that will help you get a lower monthly contribution. It also helps you combine your payments so that you will not have a hard time monitoring your payments. Although this is okay for people who have a slightly less disposable income than the first group, it will still require you to pay the full amount of your debts, albeit over a longer period. If you just have enough money for basic needs and only a little left over for debt payments, you need a debt reduction. When you need to reduce your debts, the perfect debt solution for you is debt settlement. In this program, you will convince your creditor that you are in a financial crisis. If you just have enough for your basic needs, this may be true. You want to make your creditor agree to a settlement agreement wherein you will pay only a portion of your debts. Anything that is not paid will be forgiven. This is great for people who have a very small disposable income left after expenses. If you do not have enough money for both basic needs and debt payments then your only option is bankruptcy. When you can barely spend for your expenses much less for your debts, then this is what you have to choose as your debt solution. You will either liquidate your assets in Chapter 7 so that the money generated will be used to pay off your debts or you will be subjected to a repayment plan in Chapter 13. Both of these will pay only a portion of your debts and the rest will be discharged. All of these choices can be easily made as long as you know how much disposable income you have. The only thing that you have to do is to create a budget plan first. If you haven’t created one before, you can download the free budget planner worksheet that is available in this site. There are two important factors that will give you an accurate disposable income. Net income. It is important that you get the income after your taxes and other mandatory deductions. Use the average amount that you get in your bank account. Complete list of expenses. You should also take time to really jot down the expenses that you spend for every month. Do not leave anything out. Be careful with these two because it can affect your disposable income – most of the time, it could fall short. If you base your debt relief choice on an amount that falls short, you will encounter problems along the way. Usually this problem stems from your inability to commit to the payments that you promised at the beginning of the program. If you find that you need to grow your disposable income, check your budget plan and see if there are expenses that you can let go of. If you have exhausted all possible cutbacks, you can look for ways to increase your income.